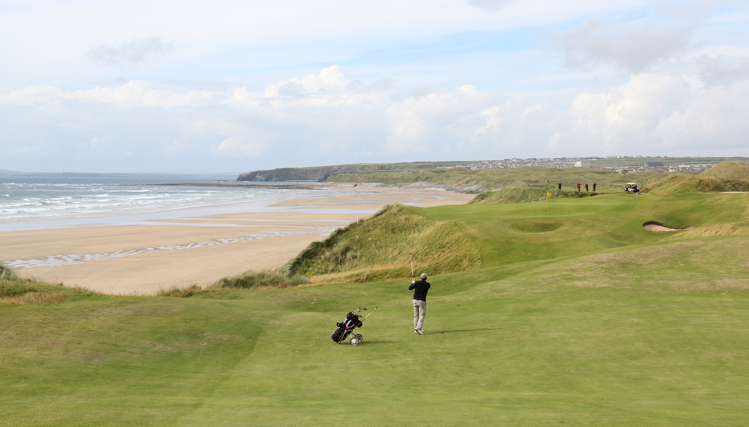 Cashen Hole 2: The 2nd hole is a tough par four, playing into the prevailing wind and long. The drive is downhill, but the approach is back up the hill, guarded by a solitary, deep bunker. 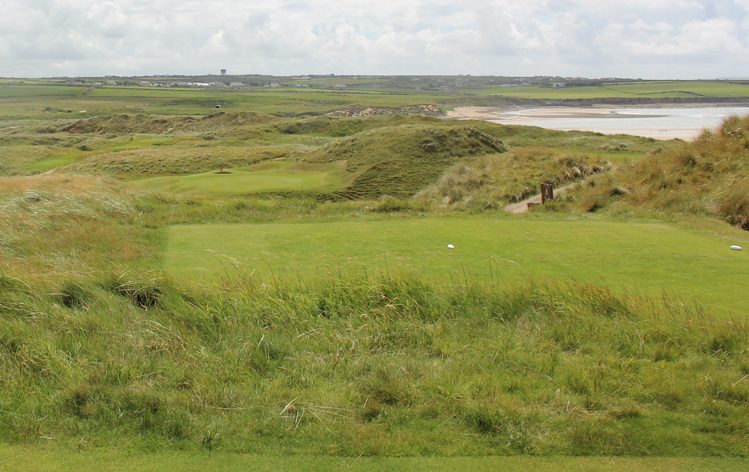 Cashen Hole 3: The par threes on the Cashen golf course are varied and all are picturesque. This one is not long, but slightly uphill to a green that is very shallow and features bunkers surrounding. 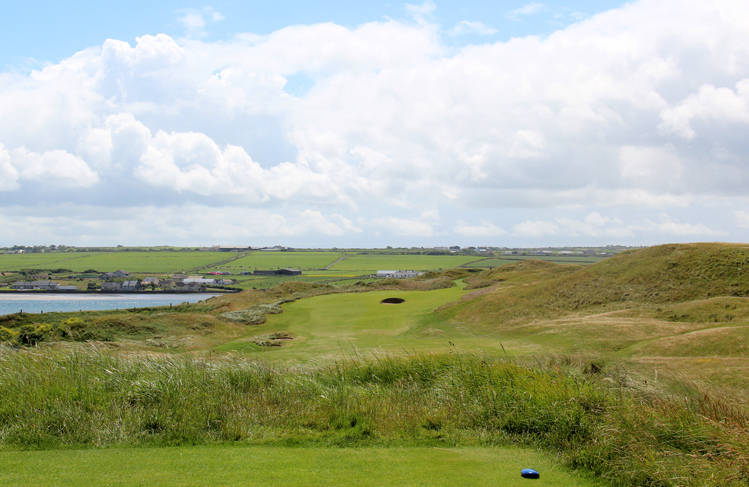 Cashen Hole 4: Another elevated tee shot faces the golfer on this par four, but this one has even a better view and more bunkers to content with. The second shot is flat, but between dunes. 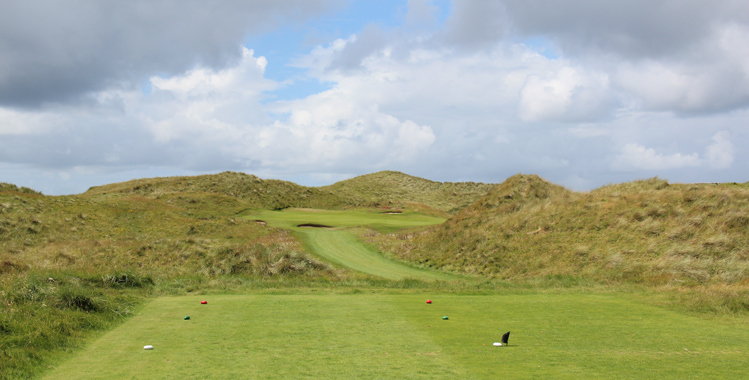 Cashen Hole 5: What has to be one of the more controversial golf holes at the Cashen course, the short par four 5th hole has a green that seems literally terraced out of the massive dune towards which the hole heads. The green is strongly elevated and is only 14 yards deep. 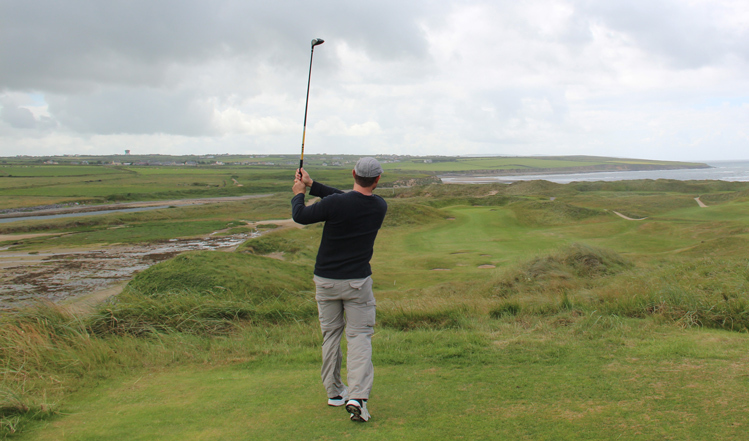 Of course, it's unlikely that a club longer than a short iron will be needed, but the distance control, uphill and with some strong wind has to be spot on or the player will be chipping from a steep hillside above or below the green. Cashen Hole 6: Another beautiful par three, this one again has a tiny green and missing pretty much anywhere will yield a tough pitch as short, left and long will bound down a steep hill. Right of the green may creep down on the surface, but too far right is big trouble. Cashen Hole 7: This short, uphill par four has trouble on both sides off the tee. 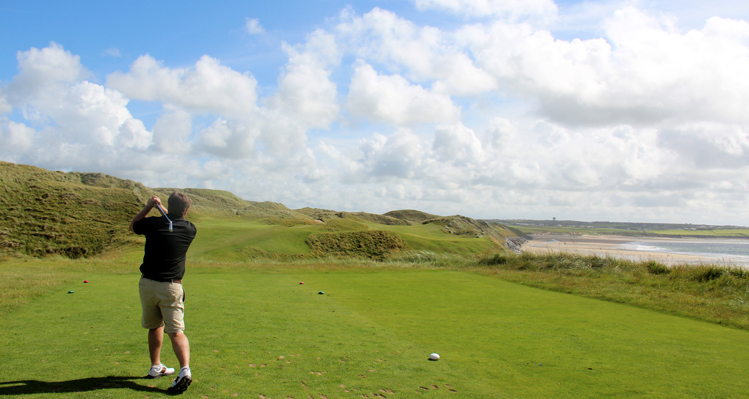 The green is snuggled between dunes to the right and cliffs to the left, so two good shots are needed here. Cashen Hole 11: Another short par three, this one is a bit easier than the others, as the green is larger. However, shots to the right or short will be rejected down the hill, so that is not a good option. 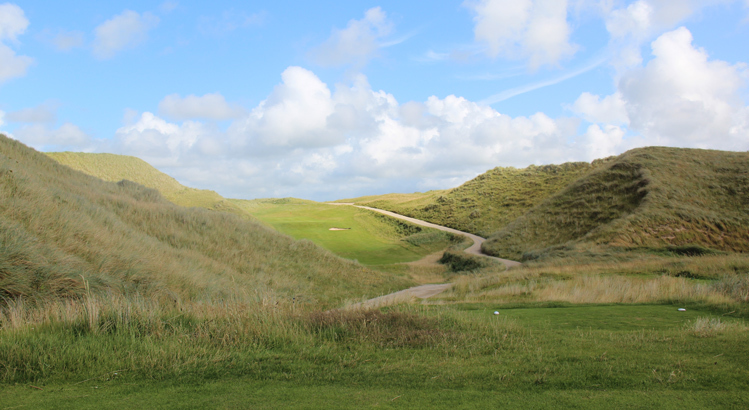 Cashen Hole 12: While I can't say this hole is great, it is pictured due to the sheer grandeur of the dunes on either side of the hole and because the uphill tee shot is long and really required one of the golfer's best shots of the day to even have a chance of getting par. Cashen Hole 13: Robert Trent Jones uses small greens and slopes around the greens to defend the course, which is short. However, the 13th hole is also pretty long and into the prevailing wind, this becomes one of the most difficult second shots in the world. The green is only 25 yards deep and missing it in any direction will leave the golfer with almost no chance at par. Cashen Hole 15: Another tiny green awaits the player at the par five 15th. It is elevated and only 16 yards deep. 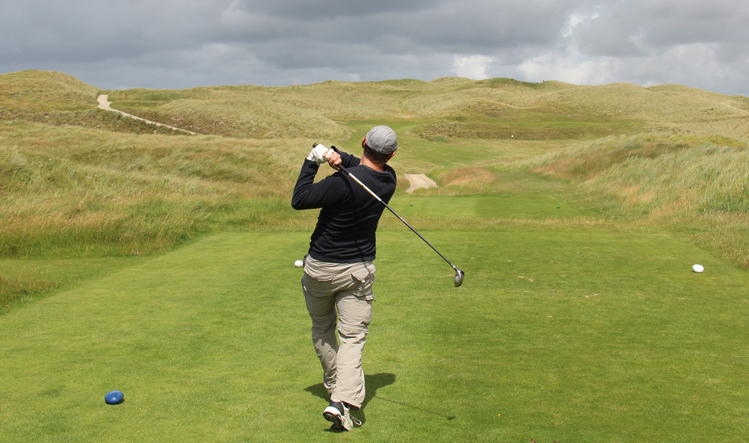 However, the real item of note on this hole is the absolutely tiny fairway for the second shot, which looks like a green snake winding its way between the massive dunes on both sides. At certain points it is no more than 10 yards wide, which is fairly nuts! 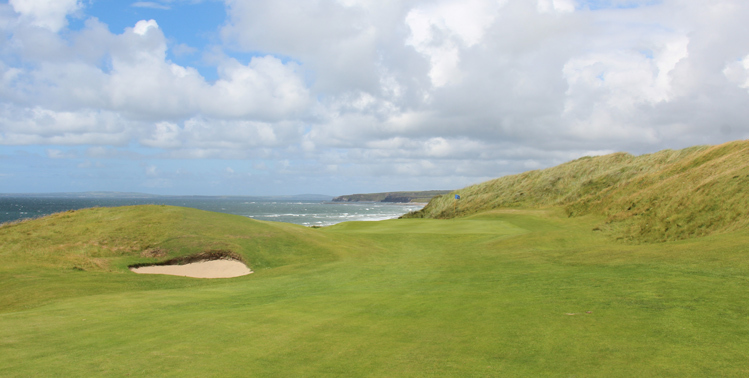 Cashen Hole 16: The last par three of the day may be the prettiest, with the nearby coastline stretching into the distance. However, it isn't easy and yet again forces a required good shot. Left is dead. 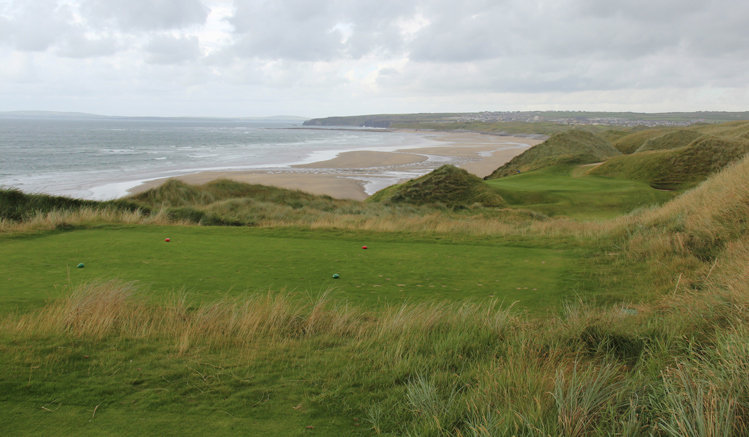 Cashen Hole 17: This par five hugs the coastline and doglegs left around the dunes. The green complex is beautiful but the green has a big tier that the player needs to be on the correct side of for sure.